Monterey bagpiper and instructor of the Great Highland bagpipes, Michel d'Avenas has been teaching in the greater Monterey, California area for 40+ years. 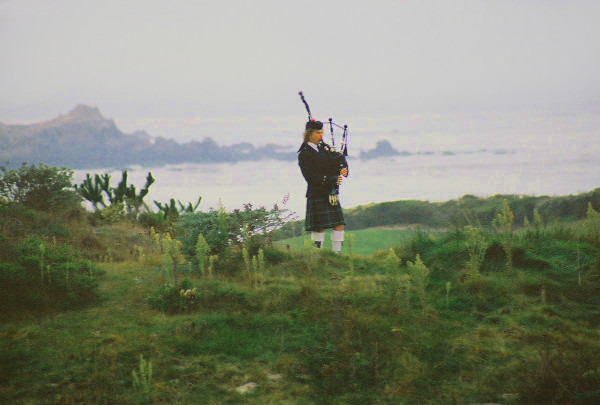 He performs weekly at the Inn at Spanish Bay, and is a full time professional bagpiper for weddings, funerals, and other events in the area. He is also the pipe major of the competitive Monterey Bay Pipe Band.